XE was established back in 1993 as one of the Internet’s first currency exchange rate providers. Today XE is part of the huge and industry-leading Euronet holding, together with HiFx and Ria. XE.com is designed for individuals and businesses interested in sending or receiving money internationally. 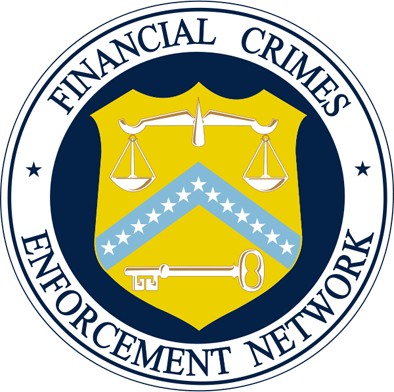 It is a cost-effective alternative to banks and other traditional financial institutions, so millions of individuals and businesses across the world have already trusted this company to send and receive money across borders in a safe and secure manner, with bank-beating rates, prompt payments, and a range of free tools. No transfer fees. Mid-market exchange rate. XE is focused on transferring money, both for personal and business purposes. Transparency is key: all relevant information is presented upfront and the transfer process is free of hidden charges. The currency exchange solutions are not just cost-effective, they also work in a pleasantly intuitive manner. XE will transfer the money to the designated recipient, a process you can track online 24/7. 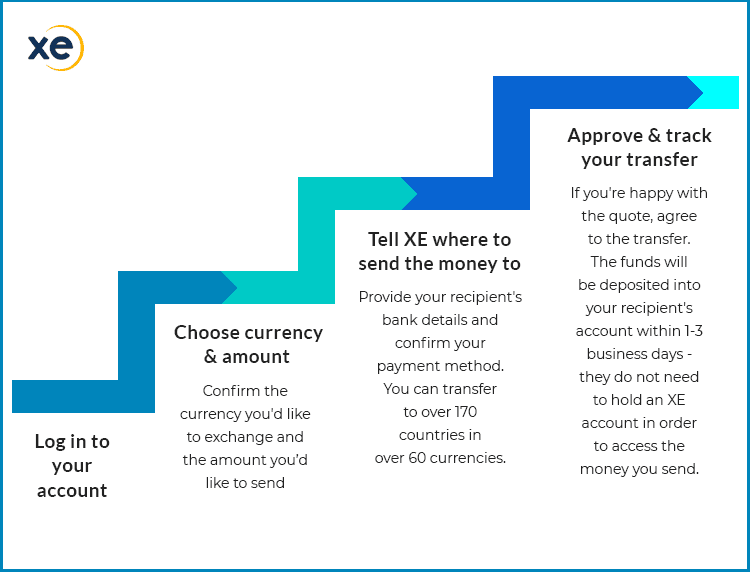 The services provided by XE Money Transfer itself are fee-free, but transferring money with the service still involves costs, since any transaction fees charged by destination banks will be borne by the sender. The exchange rates offered on XE.com are favorable over those offered by banks. This is where users can save the most. Clients can contact customer support or just set up a free account to be able to estimate the total cost of a transaction. XE.com displays live rates for popular currency pairs (major pairs, minor pairs, and exotic currency pairs). These can be compared to the bank rates. *Charges may occasionally be applied by a third party bank when transferring the funds to XE Money Transfer or before the funds arrive in the recipient account. For example, if Paul residing in the UK decides to help out with his sister’s college tuition back in France, he can make it happen in two different ways: the “classic” way or the alternative one. The most common and obvious way to go would be to contact your bank and request them to transfer money from one account to another. Take, for example, Paul’s bank, Lloyds Bank. In order to transfer money to his sister, he will need to set an appointment with his banker and sign a couple of documents to initiate the transaction. The transaction fees for international transfers at Lloyds Bank are generally between £ 23-37 (+ £20 additional withdrawal fees) and their exchange rate for the GBP-EUR pair is 1.09. In this case, a few days later, Emma, Paul’s sister, will receive about 10,837 Euros out of the £10,000 generously sent by her brother. Another way to send money would be to choose a modern transfer service such as XE. Since registration, as well as the transaction itself, is 100% free and online, Paul will never need to leave home for the exact same process. After a quick registration and authorization process, his account will be active and connected to his bank. XE offers £0 transaction fees and a fair mid-market rate of 1.14. for the GBP-EUR pair. So basically, in less than 48 hours, for the same £10,000 sent, Paul’s sister will receive a total amount of about €11,465 or €628 more than via Lloyds Bank. As you see from this example, XE clients get to keep noticeably more of their transfer sum since, unlike others, they use the actual mid-market range very similar to the one you can find in Google. Moreover, XE doesn’t charge high commissions over the conversion. Rates are, however, volume-driven: the more you transfer, the better rate you get. DISCLAIMER: (from the xe.com website): Exchange rates were obtained by independent mystery shoppers by Informa Research Services at 1.30pm PST, Tuesday 13th December 2016. Comparison based on converting $10,000 USD into Euros as quickly as possible. Results have been ranked by the amount you would receive not including any additional fees. XE claims that most money transfers are completed on the same day they’re being processed. Transfers are confirmed within the transaction flow and are generally concluded on the earliest available date your money can be transferred — provided your transfer sum was received. Clients will automatically be notified via SMS or email once the money arrives, but the company advises senders to wait between 1 to 4 days for the money to reach the recipient. If a transfer does not arrive within four working days after the transfer was confirmed, clients should contact XE Customer Support. Security is vital at XE. Whether you are using a personal account or a business account, Norton Security guarantees the integrity and security of your account and the online transaction process itself at all times. XE.com is owned and operated by the NASDAQ listed Euronet Worldwide Inc. company. The group that owns XE reported over $11 billion worth of transactions for over 112,000 clients (personal and business) around the world. Trust plays an essential role for XE. With thousands of annual money transfers conducted by personal and corporate clients, the company is internationally recognized. Australia, Austria, Belgium, Brazil, Bulgaria, Canada, Cyprus, Czech Republic, Denmark, Estonia, Finland, France, Germany, Gibraltar, Guernsey, Hong Kong, Hungary, Iceland, Ireland, Isle of Man, Italy, Japan, Jersey, Latvia, Liechtenstein, Lithuania, Luxembourg, Malta, Mexico, Netherlands, Netherlands Antilles, New Zealand, Norway, Poland, Portugal, Saint Lucia, Singapore, Slovakia, Slovenia, South Africa, Spain, Sweden, Switzerland, United Kingdom, United States. *There is no minimum amount you can transfer daily, maximum transfer online is USD $500,000, but they can allow larger transfers if requested. Spot (Regular payments): You can perform a one-off transaction with XE, or you can schedule recurring payments. Limit orders: You can request XE to buy or sell a currency when a specific exchange rate is reached. 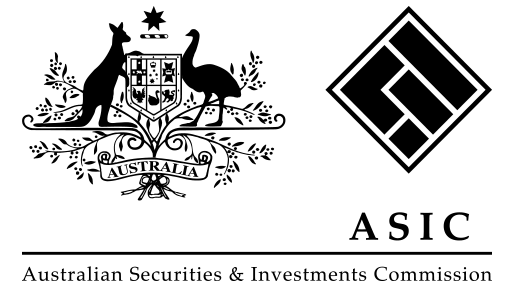 Forward contracts: Lock in exchange rates for a future transaction. Available transfer methods depend on the destination country. Options include wire transfers, ACH transfers, and draft transfers. As we’ve mentioned before, opening an XE account is free, regardless of the account type (business or personal). For business needs, however, the amount limits, fees, and conditions are slightly different, in order to get the most profit from the bigger and recurring transactions. The exact numbers would be quoted for each specific case upon request. The services provided by this online money transfer service are fully compatible with SMBs’ needs. The Limit orders and Forward contracts options fit just perfect for corporate matters. For the business clients, XE also offers FX hedging and Risk Management services, Liquidity improvement, Protection against risk/certainty of cost. You can even be provided with a personal account manager as long as you’re dealing with significant amounts. Proof of address: a bank statement, utility bill (gas, electric, phone), insurance, tax bill, et cetera. The proof has to be valid for at least three more months, contain the correct address and display the customer’s initial and surname. Proof of identity: passport, driver’s license, ID Card, residence permit, visa etc. In addition to the XE’s headquarters in the United Kingdom, the company also has regional offices in Australia, Canada, and New Zealand. This global footprint allows XE to provide local customer service during standard business hours during the week. XE can be contacted by phone or email. XE customer service staff is said to be friendly and helpful, with most of the queries by email being handled in a prompt and professional manner. XE.com is well-established and trustworthy considering it has been operating for 25 years which makes it one of the world’s top currency authorities. As a result of this experience, XE’s Money Transfer service is able to offer great exchange rates, advanced features, and helpful customer service. XE Money Transfer is an effective and solid service for sending funds internationally for individuals as well as commercial customers. The key benefit of using XE over competitor services and banks is definitely the price: a non-fee policy, combined with low mid-market exchange rates can save you a lot of money. Provided by a fully regulated and well-established global company, the product seems to be a perfect international money transfer solution.